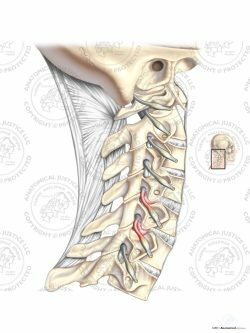 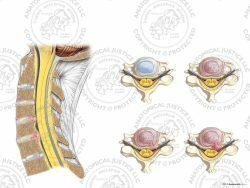 This exhibit features two lateral post-op conditions of the cervical spine with C5-6 total disc replacement. 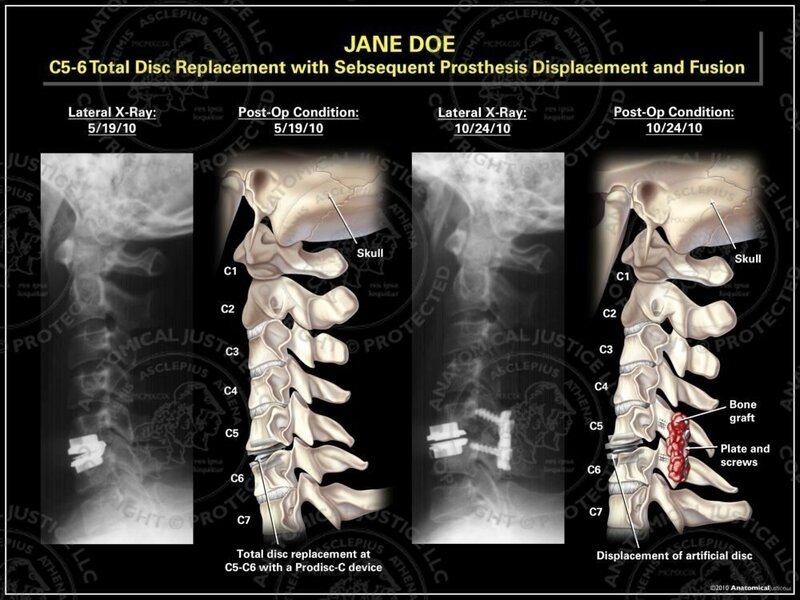 The first post-op condition shows a total disc replacement at C5-6 with a Prodisc-C prosthesis. Five months later, the artificial disc has loosened and displaced anteriorly, requiring revision surgery. Posterior fusion of the spine was completed with plates, pedicle screws, and iliac crest bone graft for stability.